If you’re using a standard CMS like WordPress, Joomla, Elgg, Moodle, Oxwall, Drupal you can find some ready made integrations to start from, on VideoWhisper.com . If you don’t have a strict CMS choice yet, VideoWhisper recommends WordPress. 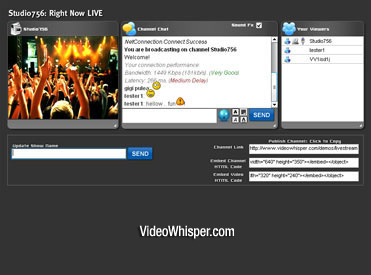 WP editions include most advanced and up to date features, maintained by VideoWhisper developers. Also WP is most popular framework, used by over 20% of top internet sites (supported by large community and effective security/feature updates that often lead to project success) . Integrations for other CMS are mostly developed by 3rd party developers and often require extra work, updates. All integrations include full php in source form, that can be downloaded for free from the downloads section (after registering a free account). Integration is not affected by the license. When domain is licensed flash application starts in full mode (without limitations and intrusive ads showing in flash interface). Integration depends mainly on site developers and site logic. We recommend starting with the simple php editions when integrating with new scripts. If needed apps can be tweaked to call other types of scripts (asp, jsp). Most already include parameters to change external script call path and extension. 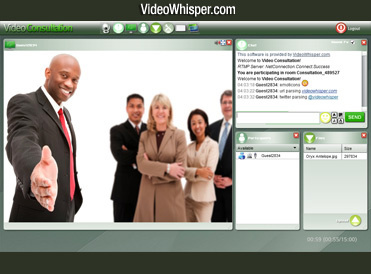 VideoWhisper can provide professional integration services, for additional fees after original setup of full mode editions.